Welcome to the Black City Philippine Blog Tour hosted by Kate of The Bookaholic Blurbs. I am so grateful I was able to join in this blog tour it is my first time and it's a great opportunity. 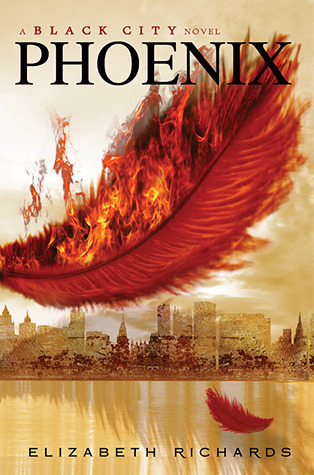 In a city where humans and Darklings are now separated by a high wall and tensions between the two races still simmer after a terrible war, sixteen-year-old Ash Fisher, a half-blood Darkling, and Natalie Buchanan, a human and the daughter of the Emissary, meet and do the unthinkable—they fall in love. Bonded by a mysterious connection that causes Ash’s long-dormant heart to beat, Ash and Natalie first deny and then struggle to fight their forbidden feelings for each other, knowing if they’re caught, they’ll be executed—but their feelings are too strong. Black City? what about it? Just kidding! hey it's pretty cool! The cover is so lovely it's eye-catching! I'm a person who looks at the cover first and if I find it cool I'm gonna read the book synopsis and yes it means I find that Black City is an awesome book. First, while I'm reading the book, I keep asking... "why Black City? ", then I got the answer, of course I will not tell it here it's for the other readers to find out. 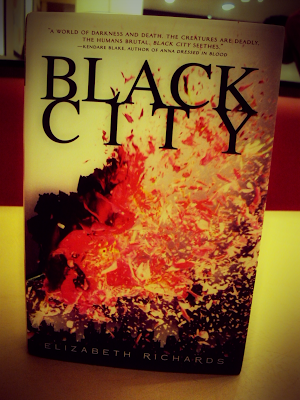 Black City catches my interest, I'm a YA fan, I really love the book, I love how the characters move in the story. I love the twists and turns I love the action parts and I love how Elizabeth Richards describe them. I keep imagining how Ash looks, and the other Darklings. Do they look like a monster or a human-monster? I want to see this book on big screen (hope it happen). I want to say something also about how the author describe the government, while reading I really think of The Hunger Games, the Capitol, the Panem. Purian Rose is like President Snow both corrupt. Ash is like Katniss Everdeen (sounds weird coz Ash is a guy and Katniss is a girl but it makes sense), they're both fighters and Katniss was called "girl who was on fire" while Ash is "Black Phoenix". There's no big actions here on this book but I'm wishing there is. I'm excited how will Ash pull down the government, and how will Natalie help Ash since she knows a lot now. All in all I can say, the book is great! I'll definitely recommend this to other readers out there. I love the rebellious side of the story at the same time, the forbidden love. It excites me how both things will come to a happy ending. Elizabeth Richards put a lot of effort doing this book, I can say that because the story is like alive, it's like it is really happening but in a different way. Elizabeth Richards is an award-winning journalist, who spent her early career reviewing videogames before making the bold (or crazy) move into travel writing, despite suffering from terrible travel sickness. 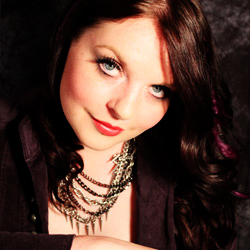 In her spare time, she ran a successful lifestyle website aimed at teenage girls, where she got to interview many of her favourite bands, go to gigs and basically blag loads of free swag all in the name of ‘research’. She's a little bit in love with Daniel Radcliffe. Her favourite book of all time is Harry Potter and the Half-Blood Prince. Her second favourite book is Harry Potter and the Order of the Phoenix. Her third favourite is Harry…oh, you get the idea. Her ambition is to see 10 volcanoes before she dies. She's already seen Stromboli, Vesuvius and Mt Etna. Just 7 more to go! Weeks after his crucifixion and rebirth as Phoenix, Ash Fisher believes his troubles are far behind him. He and Natalie are engaged and life seems good. But his happiness is short-lived when he receives a threatening visit from Purian Rose, who gives Ash an ultimatum: vote in favor of Rose’s Law permanently relegating Darklings to the wrong side of the wall or Natalie will be killed. The decision seems obvious to Ash; he must save Natalie. But when Ash learns about The Tenth, a new and deadly concentration camp where the Darklings would be sent, the choice doesn’t seem so simple. Unable to ignore his conscience, Ash votes against Rose’s Law, signing Natalie’s death warrant and putting a troubled nation back into the throes of bloody battle.